We received a letter from our allotment council recently. Apparently they considered it untidy, covered in weeds, unsightly. This letter came not long after the draft EU seed law reared its ugly head, proposing a ban on the sale or exchange of any non-registered seeds. Although the impact of this law was reduced somewhat following huge opposition, we are still another step closer to a scenario where we are no longer free to save and swap seed – something which has been happening on allotments, across garden fences and at specially arranged events for centuries. 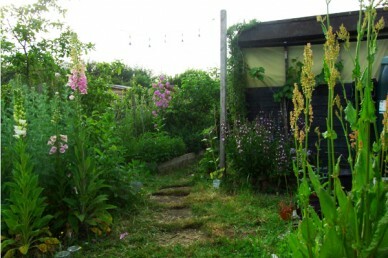 But back to our finger-wagging allotment letter and we genuinely believe that the allotment council would rather us douse the area with Roundup in order to conform to its idea of tidiness, than understand what we are trying to achieve. In fact, dandelions were described as “a scourge”, but this year we have already eaten the leaves and harvested the flowers to make dandelion wine. And thus we turn the paths between beds, an otherwise relatively unproductive area, into a multiple yield. Both these examples are essentially about control. 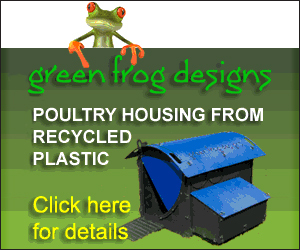 Control over our allotments, control over our seeds, control over nature. But is such control desirable or beneficial? Our preconceived ideas of what tidy looks like, can actually end up leaving us with less control than we would like to think. After all, if we are always battling to maintain something, then do we ever really have control over it? Bill Mollison said “The British garden is a sign of extraordinary tidiness and functional disorder. You can measure it easily, but it doesn’t yield much. What we want is creative disorder”. “Creative disorder” is precisely what we aim for on our allotment, because this is how nature works. Nobody waters a forest, or weeds a meadow and the truth is, that if you don’t want dandelions, the only truly successful way to eradicate them long-term is to understand why they are there – there will be a reason – and choose another plant that you would rather have in your garden that performs the same function. As a society, we are conditioned to view things in isolation and indeed this is how most crops are grown by most people: onions in this bed, beans over there, straight lines of crops in bare soil. But this is not how natural systems work. We need to progress beyond our linear, reductionist thinking and to learn to co-exist better. This is not always easy, of course: we have been battling fungus gnats for the last 3 months as we have tried to raise our seedlings at home and recently the leaf-munching sawfly caterpillars (currant worms) have arrived for their annual assault on our gooseberry bushes. We could spray chemicals on them, of course but, however time-consuming and unpleasant a job it is, I would rather pick these hungry little caterpillars off by hand. So far we have managed to keep on top of the damage by visiting regularly and putting the time and work in. And we have tried to encourage predators around our allotment with the use of bug hotels, piles of branches, and by leaving nettles and other beneficial wild plants (aka weeds) to provide habitat. If it ever got to the point where our gooseberries are totally over-run, then we may just have to accept that gooseberries are not going to work here, dig them up, and grow something else. We apply the same thinking to the Asparagus Beetles that can strip your plants bare very quickly if not dealt with. Removing beetles and caterpillars and combing through foliage for eggs aren’t exactly fun jobs, but they are preferable to chemical warfare. Of course, we cannot expect our crops to grow by themselves with no input on our part, but we cannot always control nature, nor should we want to. An old proverb tells us that ‘the best fertiliser is the gardener’s shadow’ and as time has gone on we have realised how true this is. Spending time in the garden not only means direct pest control is easier, you also gain a deeper connection with the natural environment and learn more about your garden. 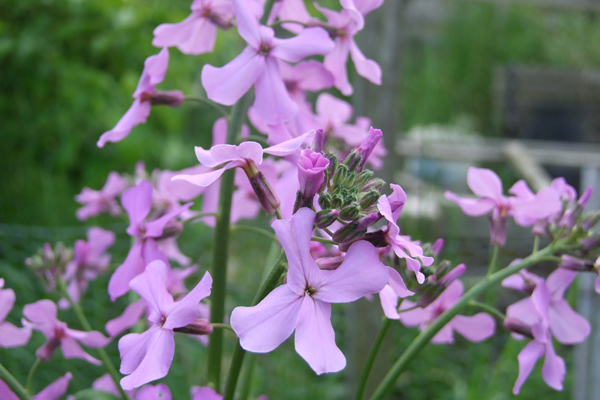 Last week we identified a new, mystery addition to the allotment: hesperis matronalis, or Dame’s Rocket. This is widely considered an invasive species, and its cultivation is banned in some states in the US. It is an elegant plant, with beautifully scented flowers, but the problem is that it self-seeds prolifically and can spread very easily. If we do not want our hesperis to spread, we will simply remove the flowers once they have finished. With regular visits and careful observation, this should not be a problem. We will let ours go to seed though, as we have discovered that the seed can be sprouted. So we get a beautifully-scented flower, which also provides us with nutritious food. But, were we fastidiously pulling up every weed we saw, we would not now have this lovely plant. Conventional thinking would encourage us to rid our gardens of these terrible “weeds”, but salads of sorrel, plantain and dandelion have been a regular on the menu for us this year as have our lovely cooked fat hen and nettle tossed in butter and all require literally no effort to grow. We are not in control and it is splendid and abundant. I tried to pick off sawfly grubs from gooseberries for several years, fighting the losing battle, until I realised that picking them off encouraged them by providing a continuous supply of leaves for successive hatches! Leave them on, then the plant is denuded just in time to be able to pick the gooseberries without getting trapped in the thorns, also, without leaves they are easier to find and pick – the leaves then regrow as the weather turns against the bugs, just in time for the bush to catch up before winter: its neat!